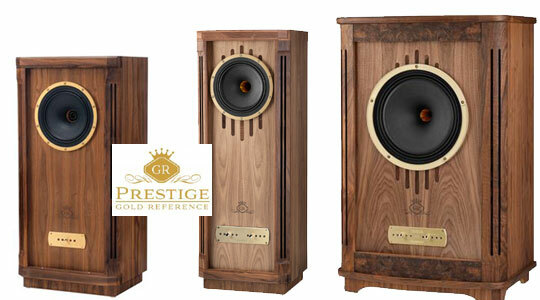 With 80 years of Design experience Tannoy offers exceptional a truly unique experience. With its Dual concentric drivers you will receive pinpoint accuracy and refinement not usually found at this price point. The revolution series which starts at $799 is one of the most refined speakers we have ever carried at this price point. Click here to view other speakers we carry. 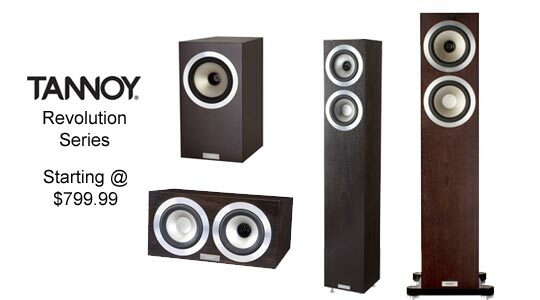 Tannoy’s best selling Mercury series in its fifth generation of loudspeakers. 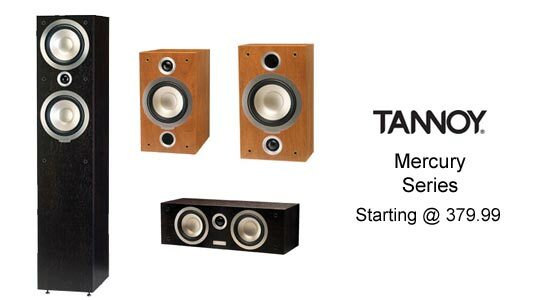 This entry level speaker from Tannoy was designed to give exceptional value for the money. the Mercury V range has been upgraded and tuned to deliver an even cleaner and more vibrant presentation than its award-winning predecessors. 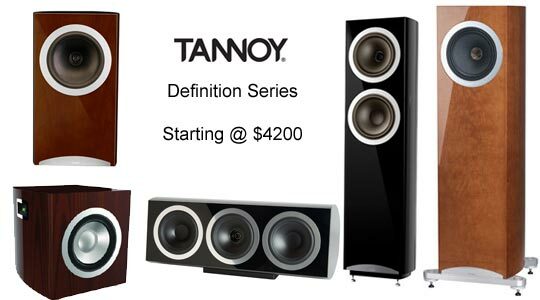 Tannoy Revolution series is the start of of it’s unique dual concentric drivers. With is real wood finish and cutting-edge technology the revolution series offer exceptional sound quality at its price point. With its stylish contemporary design to deliver an excellent music or home theater experience. 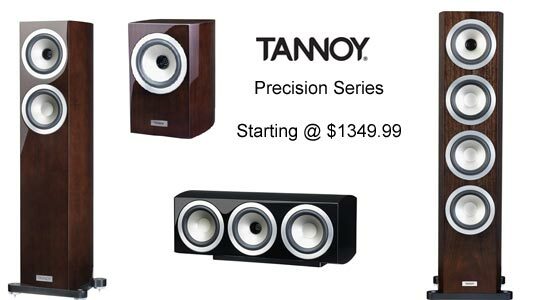 Tannoy Precision is a luxury loudspeaker series offering audiophile delicacy and breath-taking dynamics. Featuring the latest Tannoy 150 mm (6”) Dual Concentric™ driver and a raft of performance enhancing features, the range delivers outstanding realism with music and movies. Contemporary style, luxury finish options and outstanding attention to detail ensure Precision loudspeakers look as good as they sound. Defining the art of sound, Definition marries cutting-edge technical innovation with 80 years of Tannoy loudspeaker heritage. The result is a true audiophile loudspeaker for the music enthusiast who will accept no compromises. From the dynamic DC8 bookshelf model for smaller rooms to the imposing DC8T and DC10T floor-standing models, the range is crafted from the finest materials and hand finished to exemplary standards. Definition is rich, articulate and expressive in sound yet equally elegant and contemporary in style. Over forty-five years on from the introduction of the world famous Monitor Gold Dual Concentric™ driver, Tannoy has launched a new benchmark loudspeaker range; the Prestige Gold Reference. This major upgrade to the entire Prestige SE series of loudspeakers marks another significant chapter in Tannoy’s illustrious history. Gold Reference (GR) further refines the Dual Concentric™ driver concept, brings cutting edge materials and engineering technologies to the Prestige range and leverages the sonic benefits of Deep Cryogenic Treatment. 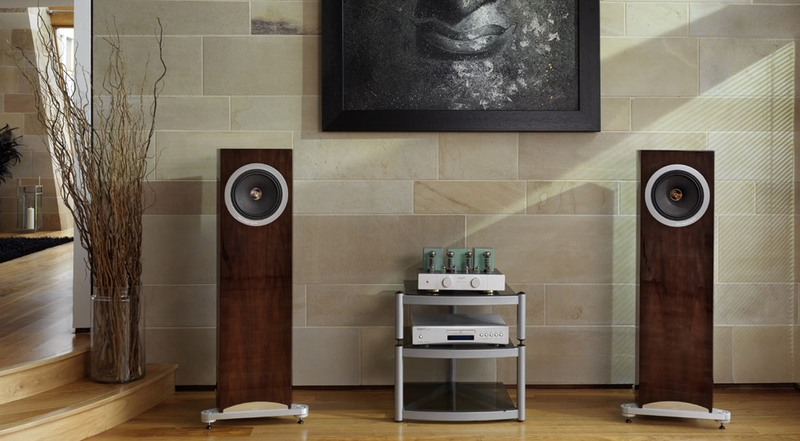 The result is a captivating and unique range of loudspeakers that further improves and refines the world-renowned acoustic excellence of Tannoy’s Prestige range. Of course, the sumptuous traditional design and time-honoured method of construction of the famous Prestige cabinets remains unchanged. These bespoke pieces of fine acoustic furniture have been hand crafted from solid wood and hardwood ply laminates by Tannoy’s finest artisans for many decades.